A bar POS system has the purpose of helping bar staff and managers oversee beverage service, so you would need much more than a standard retail POS system. Substitutions, drink recipe lists, price scheduling, tab management, and split inventory for liquor pours are just some of the things to look for in bar POS software. In general sales management, all bar POS systems fulfill the same exact functions as any POS system. A bar owner or manager can take orders, manage inventory and purchasing, process payments, track sales, and review business analytics. A great bar POS system, however, goes above and beyond all this. It offers bar and beverage service-specific features, such as being able to transfer tabs and split checks, run customer tabs, order entry that allows drink customization, split liquor inventory products and track pours. Also, it will make drink recipe lists with ingredients, schedule prices for happy hour and other specials, provide a multi-user environment with staff tracking, and track tips and end-of-day payouts. Having these features makes every aspect of your facility and services run smoother. You can improve inventory tracking, serve drinks faster, allow patrons to pay however they wish, and track every aspect of your business in one streamlined system. Lightspeed Retail is one of the most reliable POS systems for bar operations. With several bar-specific features, it has become a favorite among bar owners. With this system, it is possible for patrons to pay using any type card they want. Within the system, the bartender can apply discounts or even happy hour specials. On the back end, it also features several functions such as managing inventory, purchase orders and managing staff. This POS can also track unit costs and shipping fees, ensuring good budgeting. If you have more than one bar, you’ll enjoy complex inventory functionality. You can transfer merchandise between sites, and you have full visibility of all goods. You can also set varying prices on a location basis for the same unit, helping you maximize your profit margin. Lightspeed can help you create quotes or estimates, service and repair orders, and determine labor costs. The cheapest Lightspeed POS plan is their small plan, which costs $99 a month for a single register with access for up to five staff members. The medium plan costs $169 a month and offers up to two registers and access for ten employees. They have a large plan too – the plan you select depends on the size of your establishment. This POS is relatively expensive, and not only in terms of the present review. You will need to pay more if you want to add more registers or employee accounts than your plan allows. On the upside, even the smallest plan includes 24/7 support, free software updates, multichannel capacity and secure cloud backups. Add to that robust multi-location management tools and an amazing array of ready integrations, and you tailor Lightspeed POS to fit your exact bar service needs. 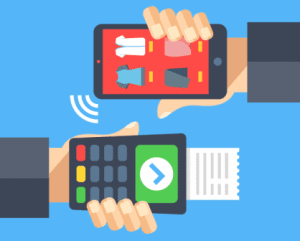 Lightspeed offers the option to choose from a number of integrated merchant account providers, shift inventory between locations, manage multiple locations, and offers multi-user staff logins for security, time and tip tracking. You can manage stock purchasing and receiving per location, split inventory products to track pours, and work in offline mode if you lose your Internet connection. The system also offers detailed location-specific and aggregate business reports and analytics and location-specific customer data collection for promotional needs. Lightspeed handles most bar sales and management needs seamlessly. It is very easy to manage tabs, customize orders, tie split inventory to every sale, track tips, and manage your staff. It also lets you price-shop processors to get the best rates as you can choose from several merchants/payment providers. Lightspeed is a great choice if you need to manage sales, inventory, and staff across multiple locations. Bar owners can oversee all location-specific activities from one central hub and look at aggregate data or break down reporting by location from there. You can even track patrons to target your email, social, and loyalty marketing efforts by location. Lightspeed also provides register bundles or you can build out your own checkout register with a-la-carte iPad stands, cash drawers, and receipt printers. The benefit here is that Lightspeed Restaurant POS lets you use the registers and devices that meet your specific requirements and budget, and you can use any laptops, iPads, or iPhones that you already have. Lightspeed register terminals are iPad-based and access to the backend business management system is possible from any mobile device or desktop computer. 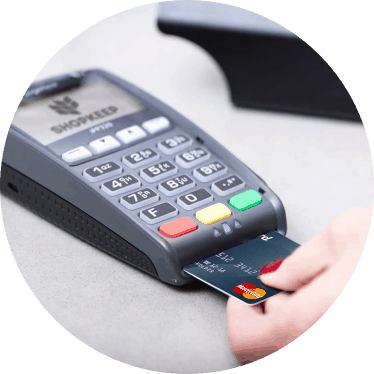 A big advantage here is that you can download Lightspeed POS to your own equipment – you don’t need to buy new hardware from Lightspeed in order to operate its POS. You can even use it with an iPhone for tableside ordering. If you need a number of add-on features, like online ordering, a loyalty program, or email marketing, you’ll get these through third-party integrations, but this will hike up your total monthly costs. These aren’t built-in to the POS system. One major advantage of Lightspeed is that you only pay for the add-ons you need. So, rather than paying a hefty monthly fee for bar POS software with everything added, this POS has streamlined base pricing and users can add just the features and costs that matter to their operation. However, the price of Lightspeed makes it a better option for more established enterprises. Owners or managers of smaller venues may be able to find more lucrative options as far as the cost goes. Lightspeed POS’s wide variety of features also makes it attractive for bars with a large number of staff and lots of items to manage. Like our previous choice, TouchBistro is designed specifically for bars, but also caters to breweries, cafes, pubs and restaurants. It offers mobility, cloud-based reporting, and excellent customer support among other advantages. This iPad POS system can be taken anywhere in the bar. Waiters can take orders and accept payments tableside or serve clients waiting in line. This helps your bar run efficiently and enables staff to focus on providing good services instead of on racing back and forth. TouchBistro is compatible with iPad, iPad Pro and iPad Mini. Hardware investments are minimal, and the system is cheaper to set up than most traditional bar POS systems because it is compatible with third-party POS equipment. The cloud-based reporting makes it possible to access back-office features using any device equipped with a browser. This can be done remotely. You can follow what’s going on at the bar without having to actually be there physically. The company offers video tutorials, a searchable base of knowledge and other information to help you learn how best to use the system, and step-by-step guides. It is also well-priced. Actually, it is one of the best-priced POS systems for small bars. There are four software plans based on the number of iPads you plan on using with the system, and you can view rates and plan details based on annual billing on the company’s website. All plans feature full selection and support for an unlimited number of users and cloud reporting. There is a free trial if you want to test the system before making a commitment. Based on your bar’s requirements, custom quotes are also available. TouchBistro’s solid reporting tools offer excellent assistance in running a growing business. With sales data, expense reports, inventory counts, and other analytical data, the system offers detailed data on how the bar is doing financially. Also, which beverages or snacks are selling best, who your best bartenders are, and more. It can also help you establish trends to make your menu better. 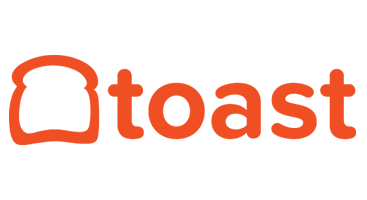 TouchBistro’s professional customer support representatives are friendly and knowledgeable, and there are countless ways to contact a live representative and resolve issues under their guidance. All clients have access to email and phone support at no extra cost. You’ll need a Mac computer such as an iMac, Mac Mini or iMac Pro to use as a server if you use more than one iPad. This POS system relies on Apple-based infrastructure. You need both an iPad and an AirPort Express router to launch it. If you’re looking for an Android- or Windows-friendly POS system, this one may not be right for you. It is a good choice if you’re already an Apple user. TouchBistro is a POS system that runs with cloud-based reporting on a local network. This is why you need the router and server. TouchBistro’s functionality depends on the local network and device, not the internet, so if the internet connection in the area is unreliable or just plain slow, it may be a good option for your bar. If you are looking for a cloud-based POS system that you can access, sync and change regardless of where you are, it isn’t a good option for your venue. TouchBistro features a good mix of bar-specific features that help you manage catering, reservations, and deliveries. It’s an affordable solution that doesn’t lock you into a long-term contract. 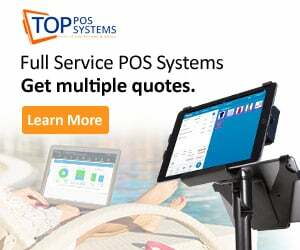 Based on statistic findings, the Upserve bar POS system has been proven to save businesses about 48 percent in maintenance and unwanted costs. However, this is not the only reason so many bar and restaurant owners love this solution. As you will come to learn, this bar POS system offers unmatched customization. As such, you will have an easy time accepting and processing custom orders by your customers. Again, you will also be able to customize the POS interface of the system to match your specific bar requirements. Again, it also allows you to pre-configure the register for easy access of the popular drinks. The bar point of sale system by this provider is specifically designed to help your bartenders sell with ease and boost customer service. To begin with, opening and closing tabs on this solution is relatively easy, allowing for a fast checkout process. In order to open a customer tab, the bartender only needs to swipe the customer’s card through the system. Additionally, the staff will have an easy time locating the various tabs whenever they need to close them. The system is also renowned for accepting multiple payment options, including credit cards, cash and several other tenders. The system also features signature-on screen and built-in tip capabilities. Managing the employees in a bar can also be a challenging task, especially for the large bars. To make things easier and more convenient for you, Upserve offers one of the best management integrations in the restaurant industry. 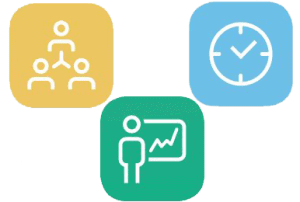 With this integration, you will be able to track employees’ hours, schedule shifts and even communicate with your employees more effectively. As part of employee management, you will need to handle the payroll in your bar from time to time. Upserve is equipped with the right set of tools to make this a breeze. 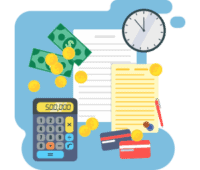 In addition to payroll management, the system features gratuity integrations. These will come in handy whenever you need to decide, calculate and award tips. You may access such employee management capabilities on the Upserve POS system on-site or remotely via the cloud. With Upserve installed in your bar, you will not need to leave the establishment to add a beer to the system. While ringing up customer purchases, the system makes it easy for the bartender to add a gratuity, split tabs evenly or separate checks whenever required to. For enhanced customer satisfaction in your business, the system makes it relatively easy for you to void or comp customer checks. This, along with the pre-authorization feature of the system, makes it more convenient for your staff to closeout. While closing tabs, the bartender will not require the card from a customer for a second time. Not only is this convenient for the customers, it is also known to prevent walkouts in bars. Depending on the components you require in your business, you may have to insure higher hardware costs with this provider. 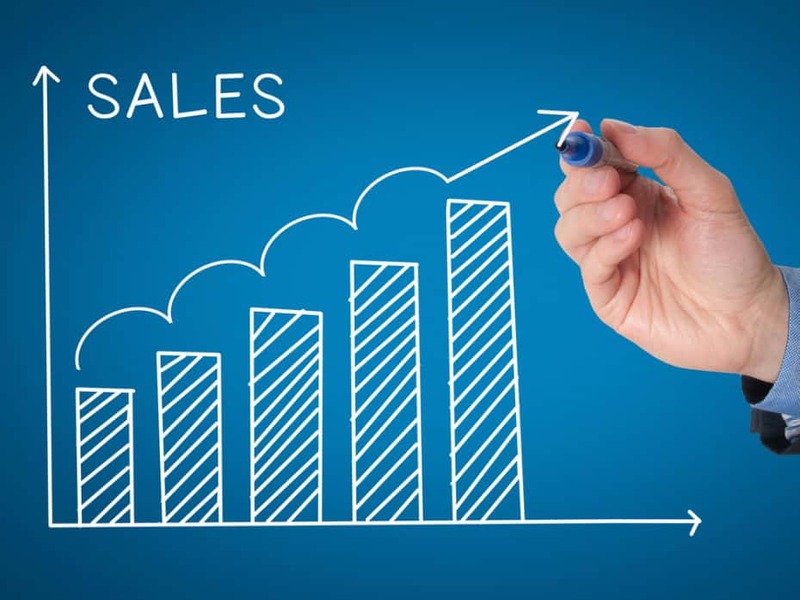 Get your business a point if sale system that is renowned for pouring higher profits into every highball, carafe, sniffer and pint. By implementing this solution in your bar or nightclub you will be in a better position to overcome the chaos that are commonly associated with the rush in the business. The system will allow the bartender(s) in your business spend less time on the POS screen. This gives the staff more time to interact with your customers, hence offer enhanced customer service. All in all, this system will streamline operations, boost customer experience as well as make it easier for the bartenders to open and close tabs. Just as is the case with any other business in the hospitality industry, you need to come up with a menu that is best suited for the business. Additionally, your bar menu needs to be friendly to the customers in your establishment. As you may be aware, bar menus tend to change from time to time. Bearing all these aspects in mind, you will need to get a POS system that features flexible menu creation and management capabilities. The solution you choose for your bar or nightclub should also update on-the-fly. Such a capability will ensure that the bar menu updates in real-time and in accordance with inventory changes. Whether you are adding a single drink or 86 different drinks to the POS, you will find it as easy as clicking a button with Toast. The system will also make it convenient for the owners or managers to alter the menu according to the prevailing demand. Again, you may pre-configure the menu to run specific offers and specials at predetermined times and days. As such, you will be able to set up happy hour prices and add daily specials to your bar menu from anywhere. With Toast in your nightclub, the bartender will not need to ask the customers for their cards multiple times, when opening a tab and again when closing it. Instead, you only need to swipe the card on the POS card reader once to open a tab in the customer’s name. Afterwards, you will not need the card again while closing the tab. For this purpose, Toast is designed to verify card information and then save it securely in the POS system. This way, the guests will be able to get their drinks faster and more conveniently. This feature will also help curb fraud associated with stolen cards. Again, it will ensure that you do not have unpaid tabs in your business at the end of the night. You may think of this as a mobile register that may be moved to wherever the customers are, only that it offers more capabilities than a conventional cash register. 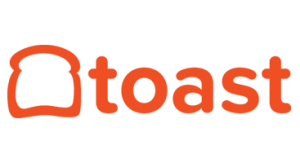 With the Toast Go mobile POS solution, you will be able to accept orders and process payments from wherever the customers are seated in the bar. Just like the stationary POS solution, this mobile POS is capable of splitting checks and prompt the guests to tip their servers. Although the provider promises to charge you a payment processing fee that is similar to the prevailing industry rate, you may find yourself paying more. As time goes by, you will find yourself paying a higher processing fee per transaction. NetSuite is a well-known name in the industry. The software provides real-time insights into sales and other financial information, customer behavior, inventory, and more. The order management system features an activity dashboard that provides weekly or monthly sales reports for stock managers. NetSuite can modify and add new capabilities into the system in case your bar grows and expands, as we hope it will. NetSuite’s POS system boasts advanced reporting functionality. You need to carry out the respective implementation for the product to work optimally. In addition, you need to scope out the upfront work. NetSuite can transform your bar with a real, single commerce platform. By providing your sales associates with the info and tools needed to assist and engage customers, you can boost profit. Moreover, you can offer a greater variety of product choices and more convenience with a practically endless array of fantastic beverages. NetSuite enables bar owners to add new regions, channels, brands, and business models, providing real-time insights to help increase your earnings. Actually, this company even makes its software available to non-profit organizations as a donation. On the downside, it is not a particularly intuitive system, but you can get used to that. NetSuite is a multi-channel, cloud-based bar management solution for bar managers and owners that combines POS, e-commerce, and order management functionalities. The software grasps the complexities of the specific model quite well, providing a unified system with back office management. The apps understand the software and hardware requirements, enabling staff to focus more on customers and less on the system. 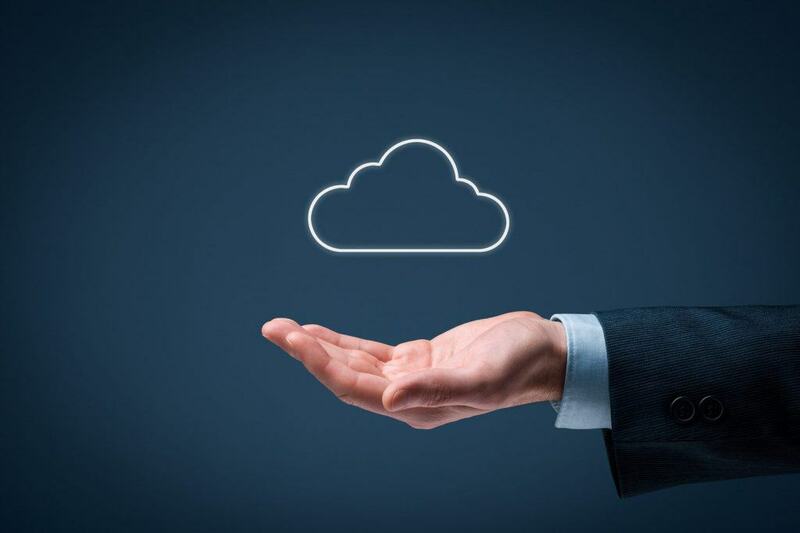 NetSuite is one of the best cloud software providers on the market right now, and the vast majority of its users are fully satisfied. It is a full package and a one-stop solution for the needs of your establishment. 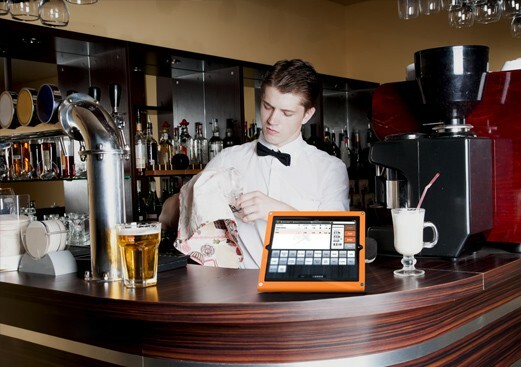 When searching for the perfect bar POS system for your operation, you’ll find many options. Some packages are designed specifically for food and beverage service businesses, like TouchBistro and Toast. 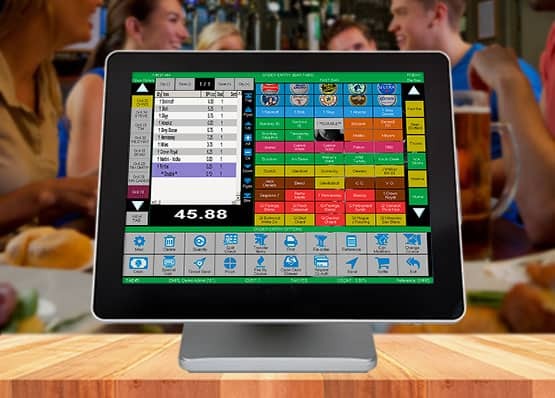 Others, like Lightspeed, Square, and ShopKeep, are customized versions of popular multi-industry POS systems, but they are quite ideal for bar and restaurant operations alike. You are at the heart of the selection process. The one thing that can take a long time when hiring a bartender for the first time is training them to learn your POS system. Ideally, you want your chosen system to have an easy-to-learn interface. This will simplify daily operation, and allow bartenders to process orders quickly. Also, you’ll want to train your staff on important features like upselling, inventory management, and end of day reports, all from the POS itself. Most POS systems for bars and restaurants will have this feature. Speed and efficiency is the backbone of any bar operation. As such, you want to be able to take payments easily and open multiple tabs, without having to leave the order screen. For example, Lightspeed has a feature where you can swipe the customer’s credit card and their full name will come up right away. If you are a bartender, you probably get asked often if checks can be split. If you don’t have a POS system, or even if you do, you now have to try and remember what everyone ordered. This means splitting it up and printing a few checks. While this is not so much of an issue, if you get a POS system that doesn’t cover this feature efficiently, you could be having a hard time at work, as they say. Maybe you have a patron that gets a drink at the bar, while waiting for his table to go eat, and forgets to close out his tab. Again, not an issue, but the system you choose should recognize such scenarios and handle it well. Choose a bar POS system where splitting checks or moving your tab to another table is a breeze. Bar guests almost always want to split their checks; with solid bar software, you have the ability to make everyone pleased. Bar menus change all the time, and your point of sale system should adapt with it. Whether you offer happy hour specials or a new food item on your menu, you want a system that can sync all the information. Ideally, you want a cloud-based system that will give you the ability to sync with your phone. That way, you won’t have to be at the bar at all times if you simply want to update one item or one special. Just as is the case with other businesses in the hospitality industry, you need to deal with accounts payable, accounts receivable and the general ledger in your bar. Most of the leading bar POS systems are capable of automating such tasks. However, you will need more bar-specific POS features and capabilities. Compliance is still a challenge that bar owners have to deal with every day. One of the things you need to avoid in your business is selling alcohol to underage drinkers. In most states, the law stipulates that alcoholic drinks should only be sold to persons above the legal age of 21 years. To ensure that you do not sell to persons below 21 years of age, you should consider getting a POS system that is capable of verifying your customers’ ages. In this regard, some of the leading systems come with a 2D imager for scanning the customer’s driver’s license. In some states, you may also be required to limit the number of drinks you sell per person. In such a case, a solution that allows you to impose a limit on the number of alcoholic drinks sold per tab. The POS solution you choose for your bar should also feature a drink recipes database that is easily accessible. With such a capability, the servers can easily lookup the drinks they are not familiar with and be able to prepare them in a few minutes. In addition to the preloaded drink recipes, the feature should also allow you to add recipes to the database. The system should also allow users to conveniently look up drink components on the POS using definitions. A solution that allows the user to modify drink recipes on a per-item basis will also come in handy. Managing the various specials and happy hour promotions, as well as multiple menus in your business, should be easy and convenient. The system you settle for should make this a reality for your bar. Again, the solution should give you enhanced control and customization capabilities for the promotions and bar menus. For instance, the system should be capable of scheduling certain specials and promotions to run as specific days and times. With such a capability, you can as well schedule the system to automatically rotate menu prices at the pre-defined times. Like most of the leading bars and restaurants, you probably allow your customers to tip their servers. In addition to allowing the customers to tip the servers at checkout, the system should also make it easier for you to keep track of the tips. In this regard, the system should be capable of linking the various tips by the customers to specific user accounts on the POS. Such a capability has been proven to help bar owners with IRS recording and end-of-shift payouts. Some bar POS systems are also known to integrate a time clock module with tip tracking. Such a system will be if great help whenever you are processing the payroll in your business. A POS system will make or break your bar. For every software vendor pushing a program, there are tens of misleading statements, hidden fees, and other risks. It might seem like all programs have the same features and functions, and the price could then be your only consideration. As you can see, it shouldn’t be. There is a world of difference between one bar POS system to the next. 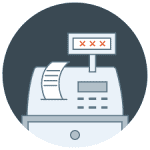 A reliable bar POS system must include all the software and hardware needed to process and record sales and print receipts, such as computers, cash drawers, and printers. This combination of software and hardware can be difficult to manage, especially for smaller bars, because owners presume the system will work with any old computer or printer. You shouldn’t be scared – this complexity is meant to serve and not deter you.